In a city already deeply scarred by deadly earthquakes, yet another grim reaper has run amok. This time, in a murderous rampage that has fractured the innocence of a young nation. New Zealand prides itself on being a peaceful, multicultural country where people from anywhere in the world can find safety and build rewarding lives. Our mistaken belief has been that the nation’s remoteness deep the Southern Ocean kept us safe from the hate-driven terrorist carnage that has bedevilled the rest of the world in recent years. 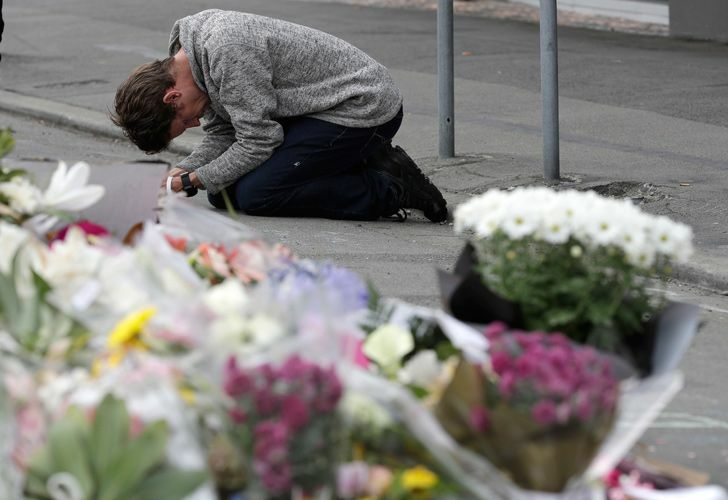 Ultimately, remoteness did not save New Zealand from an anti-immigrant, white-supremacist lone-wolf killer carrying high-calibre weapons, one who massacred 50 Muslims and grievously wounded scores more in two Christchurch mosques on March 15. The Australian killer chose New Zealand for his attack because it is a peaceful haven of religious freedom and in this perverse respect the country has been hoist on its own tolerant petard. Condolences and offers of support from around the world have flooded in, paradoxically arriving via the same Internet applications the killer used to broadcast his slaughter to followers in real-time. 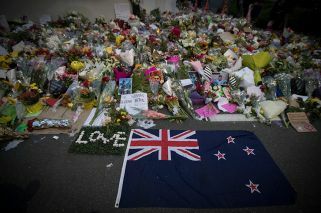 Tens of thousands of people gathered spontaneously in front of New Zealand’s mosques in silent solidarity with Muslims and laid vast fields of flowers in memory of the victims, whose families will benefit from the more than 10 million New Zealand dollars that has been donated by the public (including 2.2 million NZ dollars from a group of Chinese businessmen in the country for a conference) in the wake of the attack. Argentina knows well the trauma of hate-filled attacks with both the 1992 Israeli Embassy and 1994 AMIA Jewish community centre bombings serving as sad cases in point. The messages from my Argentine friends and acquaintances I have received have been especially poignant, as I was in Buenos Aires when the AMIA centre was bombed. After this recent massacre, I felt the same numb incomprehension that assailed Argentina after that infamous attack. We must remember that Argentina and New Zealand are both proudly multicultural nations, built on immigration and freedom of religion. Now we’ve been drawn closer by the shared horror of an extremist attack on our fundamental principles. The Christchurch killer emailed a deranged 74 page manifesto to the prime minister, over 30 community leaders and uploaded it to Facebook, nine minutes before the killings began. Trump cannot avoid some overarching responsibility for the Christchurch massacre. His inflammatory, jingoistic rhetoric is deliberately designed to inflame nationalists, Christian zealots, neo-Nazis, racists, transphobes and other uneducated misfits. Neither can the US leader acknowledge the danger right-wing extremists pose, as they are the very people on whose backs he snatched the US presidency. While Donald Trump and his crypto-fascist enablers would have you believe it is only Muslim fanatics who pose a terrorist threat, The Washington Post has pointed out that 70 percent of the 427 extremist-related killings in the United States in the past 10 years have been perpetrated by right-wingers. The opposite has been the case, as apart from weasel words from the usual right-wing apologists – and Trump’s par-for-the-course equivocation – the international reaction to the massacre has been universal support for the victims. A police officer stands guard in front of the Masjid Al Noor mosque in Christchurch. The killer is a coward and certainly no martyr to his beliefs. He allowed himself to be captured alive while he had the armed-to-the-teeth wherewithal to despatch himself, in lieu of what will be a lifetime of solitary confinement and enduring opprobrium. In court after his arrest the killer self-satisfyingly smirked at the judge and international media pack, before flashing a white supremacist victory hand-signal to his ideological kith and kin around the world. Yet getting this reprehensible madman off the streets is unfortunately only a drop in the ocean. Right-wing extremism is growing worldwide and, if anything, the massacre will undoubtedly embolden its followers. Thousands of right-wing extremists are celebrating the Christchurch massacre online and some even praised and encouraged the killer during the Facebook live-feed of the massacre. Even more worryingly the killer has sacked his court-appointed lawyer and will represent himself at his trial, which raises fears he will use his high-profile prosecution and the worldwide coverage to promote his perverted beliefs. Before the dead are even buried, hard questions are being asked in New Zealand about how the emergency services responded and if government agencies could have, or should have, prevented the attack. The police acquitted themselves well by arriving at the first mosque within six minutes of the first call for help and by detaining the killer, who left the first scene to kill again at another mosque on the other side of the city, within 36 minutes of the first call. On the other hand New Zealand’s intelligence agencies – who have the primary duty to neutralise bad actors and forestall attacks – appear to have dropped the ball by following the United States’ lead and focusing on Muslim extremists, while paying not enough attention to right-wing extremists. In a clear case of shutting the stable door after the horse has bolted foreign intelligence services, including the United Kingdom’s MI5, are investigating the killer’s recent travel to Europe and the United Kingdom in particular, where it is believed he met far-right leaders. Meanwhile, New Zealand’s gun-control laws are being seriously questioned because the killer armed himself with legally-obtained semi-automatic military weapons. Prime Minister Jacinda Arden has promised gun-control rules will be tightened immediately. Facebook’s role in the live broadcast of the rampage is also being questioned. The firm could not stop the feed before it migrated to other Internet platforms, becoming accessible to the sick minds who revel in such obscene content. Above all else, the killer’s most pernicious achievement has been to make everyone in New Zealand feel unsafe, especially Muslims and other religious minorities. The most pressing question is how to undo the damage. A mourner prays near the Linwood mosque in Christchurch. That the damage will be undone goes without saying. People will feel safe again in New Zealand, but it will be at the price of increased vigilance, just is the case in Argentina where the bombings have led, among other measures, to 24/7 police guards outside of Jewish community facilities and synagogues. 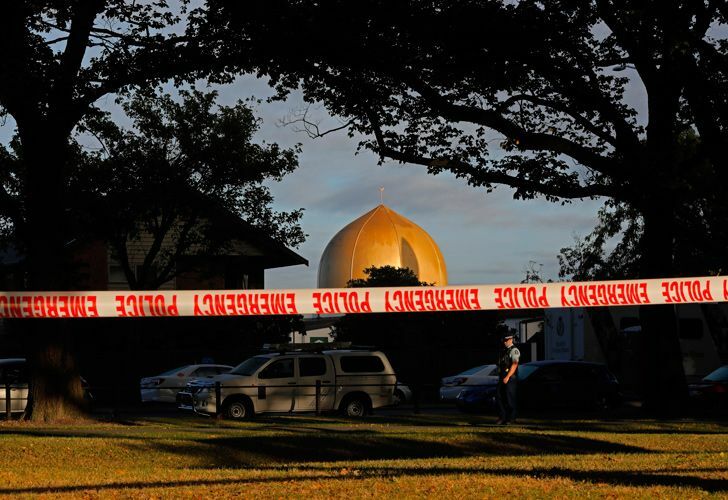 Already all the mosques in New Zealand are under armed police guard and border control and aviation security measures have been tightened. While the Christchurch killer has made us feel unsafe, it will pass. He has, in direct contradiction of his objectives, in fact hardened our collective resolve to maintain religious freedoms and colour-blindness. Perhaps the last word goes to New Zealand’s First People, the Maori. They say in the face of adversity, ‘Kia kaha.’ Be strong.